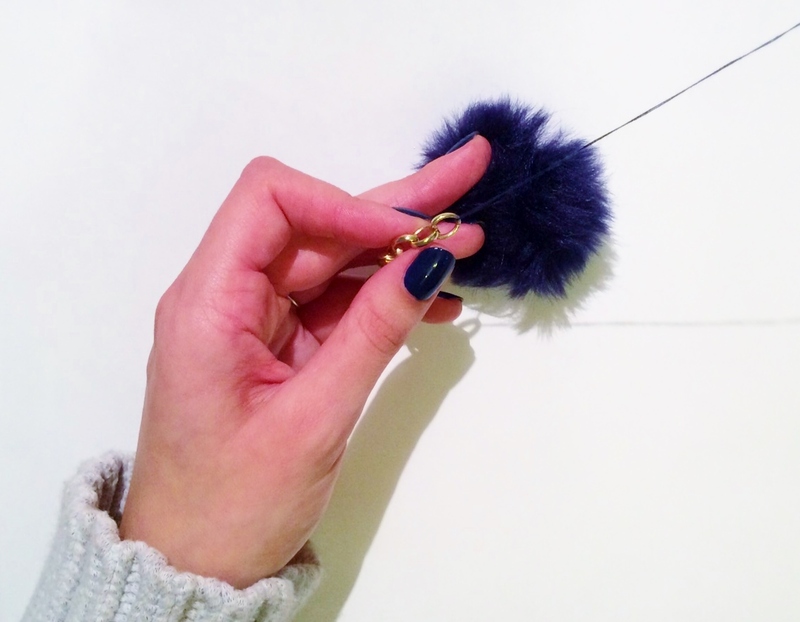 Using a double-threaded needle, pierce your pom pom, as close to the centre as possible. 2. 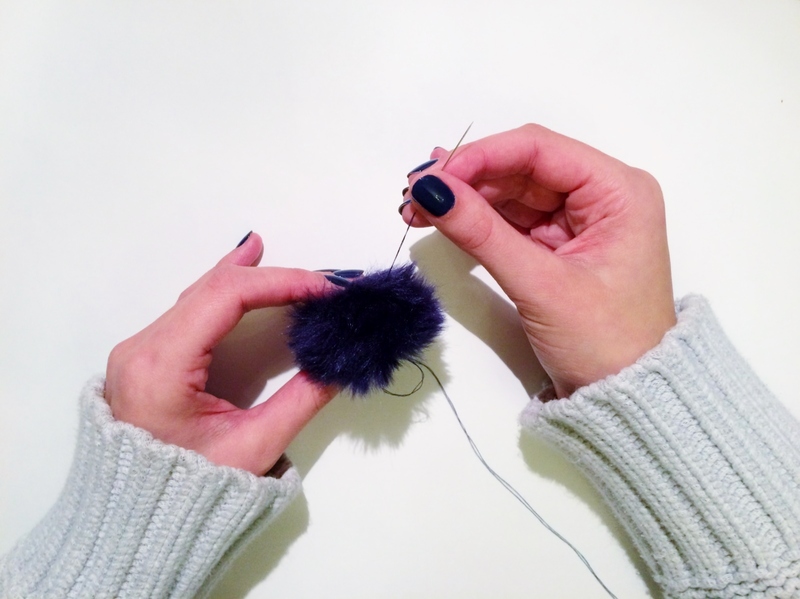 Double back on your stitch several times to ensure the thread has a sufficient hold on the pom pom. 3. Thread your needle through the bottom link of your chain. 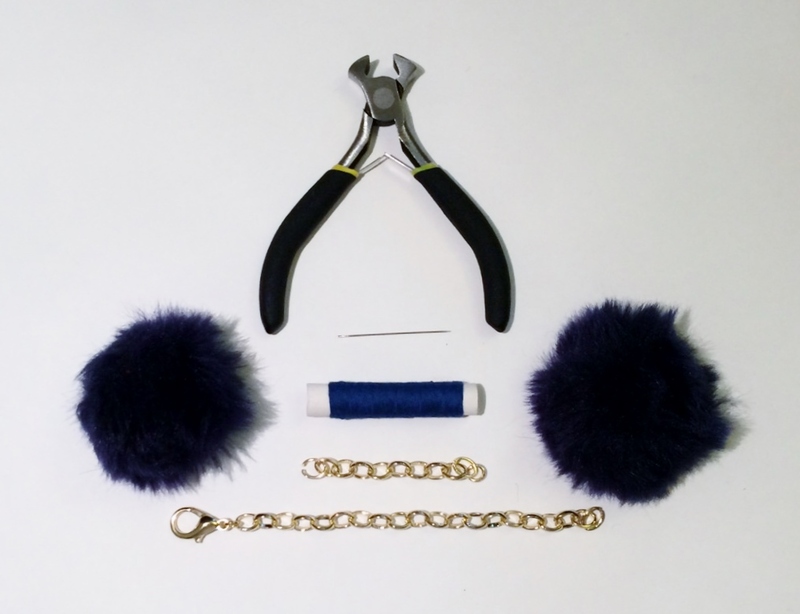 Push the chain onto the pom pom, and following the same technique in step 2, secure the chain to the pom pom. Repeat steps 1-3 for the other length of chain and pom pom. 4. Using your wire cutters, open the top link of the chain. The best way to do this is to find the join in the link, align the wire cutters with the join, and apply pressure. The link should open a small amount. Slot the top link of the second chain (and clasp, if necessary) into this link and close by applying pressure to either side of the open link. Your bag charm is complete! If you’d prefer to use this as a keyring, I recommend using a lobster clasp, as these have more room to house the keys.